Our service technicians are trained and experienced to thoroughly inspect equipment purchased through Bellwether Healthcare Solutions. Bellwether's certified technicians offer weight testing & preventative maintenance of Ceiling Lifts & Tracks throughout Atlantic Canada. Each technician has installation experience that allows them to perform track repairs at the time of testing, when necessary. Please contact our Service Manager for a consultation. 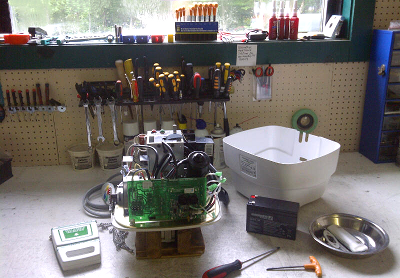 Services Offered: We provide service work either on-site or at our Waverley, Nova Scotia Service location. We offer a comprehensive preventative maintenance program for beds, lifts, bathing systems; and an annual ceiling lift/track weight testing program. Pro-active equipment maintenance will add to the well-being of residents/patients and staff in both the long-term care and acute care environments. Education: Our Service Technicians will work with your facility’s maintenance personal to ensure they are educated on trouble-shooting procedures for equipment purchased through Bellwether. Bellwether offers a “Service School”, facilitated by one of our Service Technicians, designed specifically for personnel involved with the on-going maintenance of their facility’s beds and ceiling lifts. 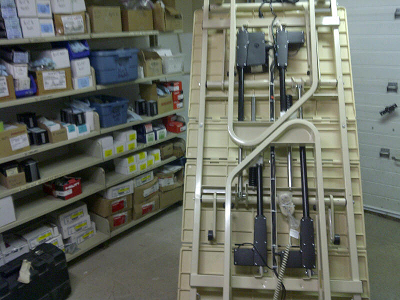 Installation: Bellwether’s ceiling lift track installations are done by our own in-house crew. We are certified by the manufacturer and adhere to their standards for track installation. 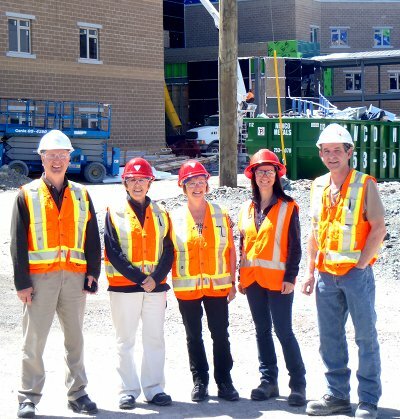 We work with a safety consultant and have certification with the provincial construction association. We stand behind all of our work and have maintained an excellent safety record. Please ask your representative for references from facilities in your area. Bellwether has installed approximately 7,000 tracks in Atlantic Canada. Our installers adhere to the highest industry standards and have earned a reputation for quality work. Our clients rely on these installations for the safety of their patients/residents and staff. We can provide consultation that will result in the best possible track layout and installation.